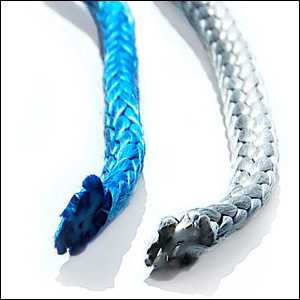 A synthetic cord made up of a braided jacket which surrounds a braided core to provide quality high abrasion resistance and gripping properties. Fully spliceable, its rounded configuration provides maximum surface contact on drums, winches, and cleats. Available in nylon and polyester, this braid maintains excellent flexibility, stores well, and is unaffected by mildew, rot, or most chemicals. Nylon: We have found that by combining the tough fibers of nylon with our durable double-braided construction, we can provide strong shock-absorbing lines. Controlled elasticity, another important characteristic of our nylon line, provides consumers with excellent products for anchoring, docking, mooring, and towing. If long life, dependability, and true value are important for your marine needs, look no further than our nylon double-braid. Our standard nylon color combination is gold and white; braids are also available in select colors by special order. Polyester: This low-stretch product is made with a technically advanced polyester to create a low-stretch abrasion resistant braid. 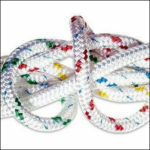 Our double-braided construction is designed especially for halyards, sheets, and guys. Made from Dyneema and spectra fibers yields the maximum in strength-to-weight ratios. This fiber is incredibly strong, stronger than steel, yet so light it floats. The product has extremely low stretch and excellent abrasion resistance in a single braid construction. It is three times as strong as polyester, and is made with a unique torque free construction, providing easy handling. Gladding has become a leader in the development of temperature sensitive shock cords—from -44º to +300ºF—for the aeronautic and automotive industries. We braid nylon over domestically-made rubber compounds which maintain their elastic properties even in the most adverse temperature conditions. We also provide a heavy outer sleeving that is resistant to abrasion and ultraviolet light as well as to most chemicals. 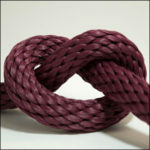 Our shock cords are available in select colors by special order. Our most economical braid, is created with a traditional “basket weave”, “8-plait”, or “maypole” construction. The braided jackets or sleeving protect a parallel-laid center core which adds strength and abrasion resistance to each braid. Diamond Braids combine high tensile strength and good knot-holding properties with high resistance to mildew, rot, ultraviolet light, and most chemicals. Our braids are available in a wide variety of contemporary colors and patterns to fit with any design or color scheme. Diamond braids are also used in industrial fabrics, toys, hardware, and tents because of their economical price. 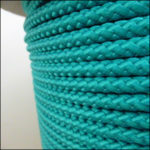 The lock stitch nature of solid braid creates the most uniformly round cord available. We take the additional step of twisting each yarn before it is braided which adds strength and abrasion resistance. 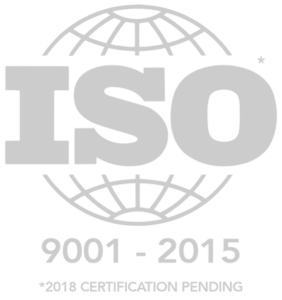 This process allows us to certify our solid braids to Mil-C-43256 polyester and Mil-C-43307 nylon. Available in white, black, and special colors. Nylon: Nylon offers excellent abrasion resistance and good knot retention. The filaments will not rot, mildew nor deteriorate when subjected to oil, grease, or most chemicals. 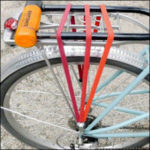 These braids are well-suited for use with pulleys and tie-downs. Polyester: Polyester solid braid is manufactured to satisfy low stretch needs. Ideal for use in and around water, our polyester solid braids are guaranteed not to shrink. Polypropylene: We use multi-filament polypropylene to create an economical floating braid. Although not as strong as nylon or polyester, flotation and the wide range of color availability make this braid a highly visible, economical alternative. Polypropylene braids are often used as safety ropes.